Swimming pools are popular location in Malaysia. Swimming pools also a symbol of healthy lifestyle. Today, swimming pools are available in various options, and you can choose from an indoor swimming pool, outdoor swimming pool and pools with hot water facility! 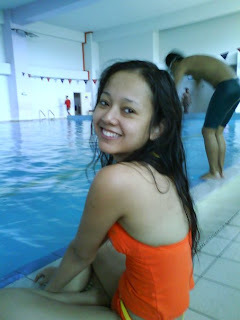 Swimming pools is good to became places to hangout and relaxing for Malay girls. Most urban Malay girls especially live in Kuala Lumpur love relaxing at swimming pools with their friends. It’s better than doing un-moral things such as clubbing and private party. In Malaysia, swimming pools can be found at exclusive condominium area, water-themes parks and public swimming pools provided by local councils. Most of hotel in Malaysa provide extra excusive private swimming pools for their hotel visitor. Swimming pools are usually having basic pool furniture that includes a couple of lounge chairs, a pool table and a canopy umbrella. In 80s, Bikini starting been accepted by Malaysian after top Artis Melayu wear swimwear in certain local movies (exp: Harry Boy, Boss, Driving School). Famous Artis Melayu wear bikini and swimwear during 80s-90s such as Rahmona Rahman, Julia Rais, Jasmin Hamid, Ziela Jalil and Sofia Jane. Now days, new generation of Artis Melayu Malaysia was spotted wear bikini such as Dania Danielle, Maya Karin, Zarina Ann Julie and Jaslina Hashim. In 90s, proper swimwear such as bikini is compulsory in swimming pools and water-themes park in Malaysia. Its make bikini more accepted and widely available in lingerie shops for Malaysian.